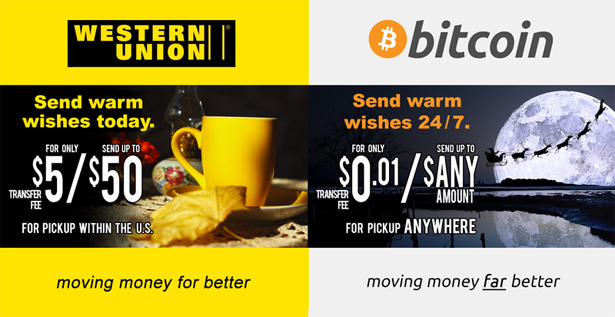 If you’ve been scanning the Bitcoin subreddit today, you’ll notice Western Union — the world-famous money remittance company — is taking a fair bit of flak from digital currency enthusiasts for an event that took place on Facebook not terribly long ago. Needless to say, Aiello’s post on Reddit was met with disappointment and anger. And now, it seems like the community is eager to share what they think Western Union didn’t want them to see. This morning alone, I’ve counted ten threads with reference to the debacle on the Bitcoin subreddit front page, and a number of others on Twitter are making reference to this. But is it the proper way to go about getting back at Western Union for their copyright claim? Do you think the case is that Western Union doesn’t want people to see the benefits of bitcoin transactions? Further, do you think that in light of this news Western Union should explore getting into bitcoin? Share your opinions in the comments section below.